A fire was reported at the Faculty of Architecture on Tuesday 13 May. Everyone could leave the building immediately during the evacuation. Students and staff at TU Delft are working hard to get the Faculty of Architecture back on track as soon as possible. Education is expected to start again on Monday 19th May. The project learning activities will take place in tents on the TU Delft campus. 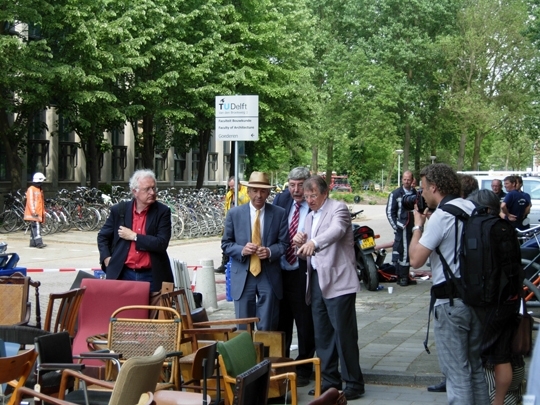 A part of the chair collection (200 pieces) and models (70 pieces) are saved by fireman. It's still not sure if any books are saved in the library. The building will be torn down completely later this month.